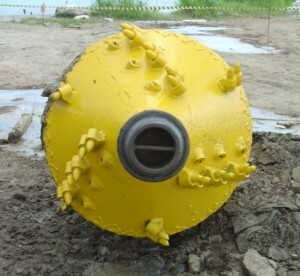 Shortly after the development and introduction of HDD in early 1970 it became the quickly became clear the importance of hole opener design and the use and placement of high pressure jet nozzles. etween joints. When in-hole pressures exceed a certain threshold the formation fractures and returns are lost. Too light of viscous and the cuttings will quickly settle to the bottom of the borehole and becomes stagnant. With the above said, bentonite viscosity has a relatively narrow range in which it can (or should) be adjusted, making the size of the cuttings (solids) an essential consideration. The size of the cuttings can be affected by many factors e.g. 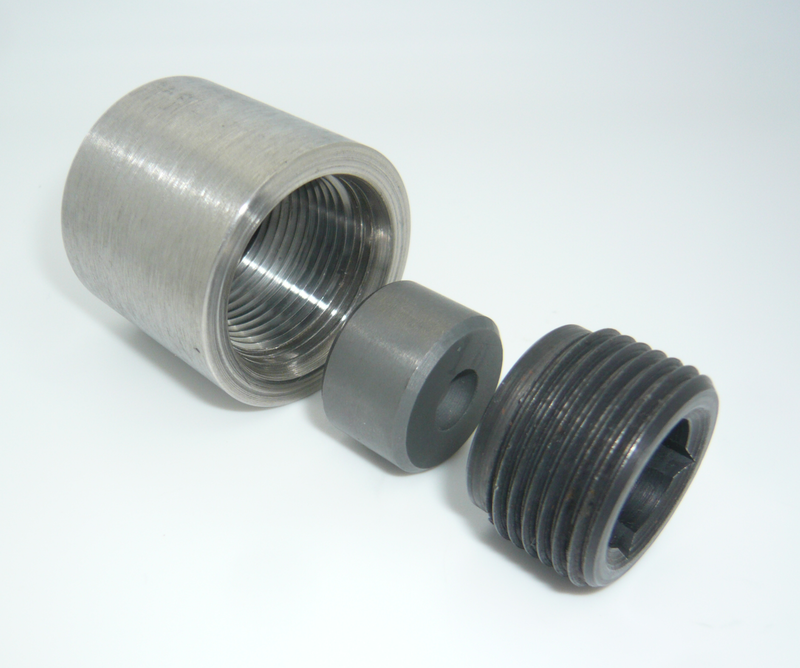 penetration rate, hole opener design and high pressure jet nozzle placement. The penetration rate in which hole openers and back reamer’s that are drawn through the hole can easily produce too large of cuttings. 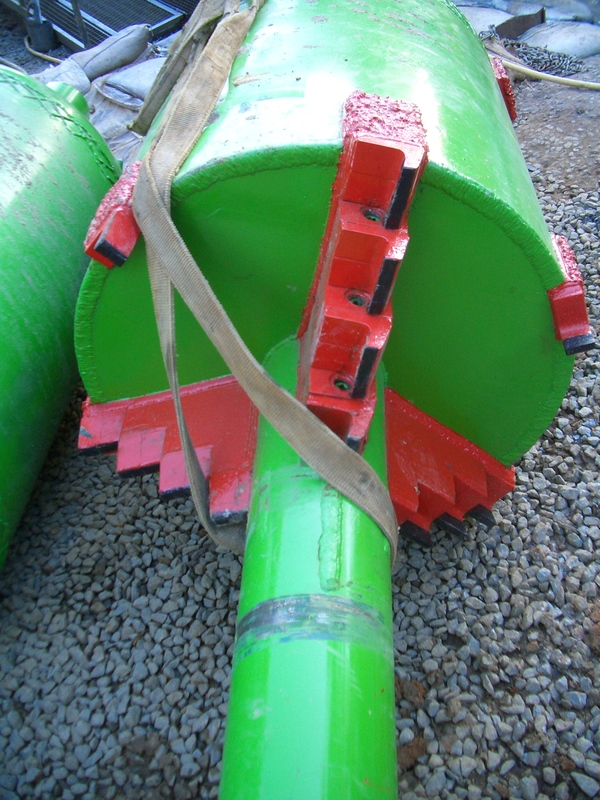 Excessive rates will gouging large pieces of formation which ether fall directly behind the hole opener or slip and settle very quickly with no chance of being entrained in the slurry and carried to the surface. Hole opener designs can also be critical based on the type of formation being cut. Too aggressive of a hole opener in soft formations can too often leave only a perception of success to those operating the tools at the surface. An example of this is using a fly cutters back reamer in a softer clay formation. By essence of its design, it is easy for an operator without discipline of experience to advance a fly cutter too fast through clay, thus shaving large slivers of clay that fall directly through the blades, settling at the bottom of the borehole as the hole opener continues to advance. High pressure jet nozzle placement is also critical. Ideally the nozzles are positioned directly ahead of the mechanical cutting tooth. Proper positioning of the nozzle has two primary benefits, continuous cleaning of the cutting surface, and shearing of the cuttings. A properly position nozzle will continually blast cuttings off and away from the cutting surface so to prevent this cutting surface from becoming “loaded up” diminishing the effectiveness of cutting edge, slowing down production as the rate of penetration (ROP) diminishes. In addition to unloading the cutting edge, the nozzle should shear the formation as it is cut, breaking it down into small particles so that it can be carried effectively out of the borehole without settling in the borehole. As part of our ongoing commitment to design drilling solutions for the HDD and vertical drilling industry, we have developed and are offering a nozzle assembly that offers a standardized solution to most in hole tooling requirements. The series 65 assemblies are ideally sized and suited for most drilling applications, allowing contractors a standardized nozzle solution for all of your high pressure jet nozzle needs. Nozzle sockets can be mounted flush or counter-bore (flush mount) into drilling tools allowing for serviceability of these tools having a wide selection of nozzle variations. 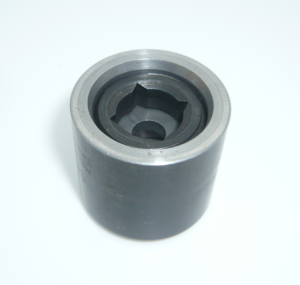 Not only are these assemblies a central part of building in-hole tools e.g. hole-openers, fly-cutters, barrel reamer’s, hole cleaning swabs and jet bits, etc. they are also considered essential for any HDD contractors to have on location for any type of high pressure applications including but not limited mud tank jet guns, mud pit agitation (breaking up solids), wash down tools, etc. laminar flow (lām’ə-nər) Smooth, orderly movement of a fluid, in which there is no turbulence, and any given sub current moves more or less in parallel with any other nearby sub current. Laminar flow is common in viscous fluids, especially those moving at low velocities.